SWEET, BUTTERY FLAVOR. SLIGHTLY CRUNCHY SHELL, RICH MEAT INSIDE. 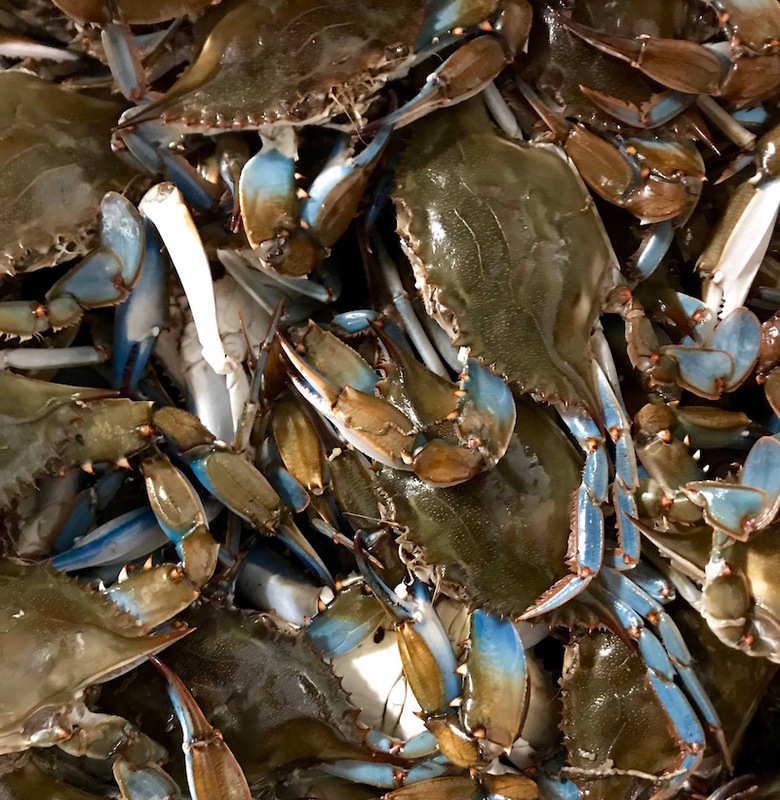 Soft shell crabs, or “softies” are blue crabs that have recently molted their shell. They are harvested before they can regrow a new shell, so their skin is soft. This means their entire bodies are edible: shell, claws, and all. 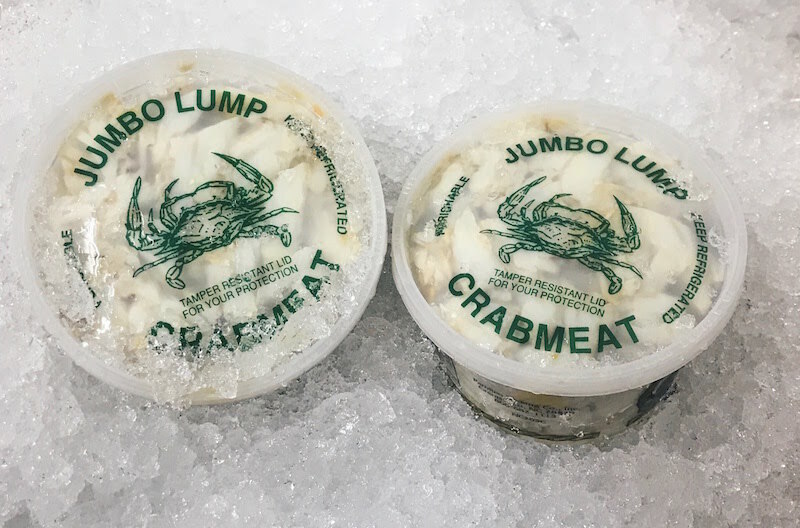 The soft shell season is traditionally marked by the first full moon in May, when the blue crab begins its molting season to accommodate summer growth. May through September are the most productive months for live softies. 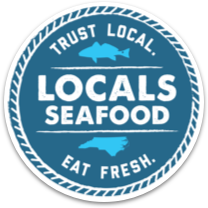 Many folks, including Locals Seafood, will buy softies in bulk this time of year and freeze some for the winter season. Before you can cook a soft shell crab, it needs to be cleaned. 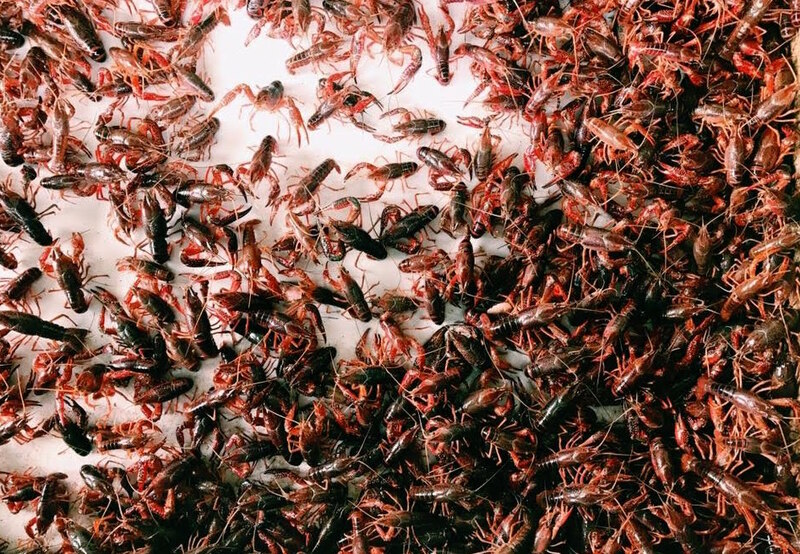 We sell cleaned softies at our markets, as well as live crabs. Cleaned softies can be kept in the refrigerator, on ice, for 1-2 days at most. They should be gently rinsed at home before cooking to remove any unwanted natural fluids. If you decide to buy live softies, keep them alive until you’re ready to cook them. They can only survive in a refrigerator for 1-2 days at most. We recommend you buy them live the day you will cook them. 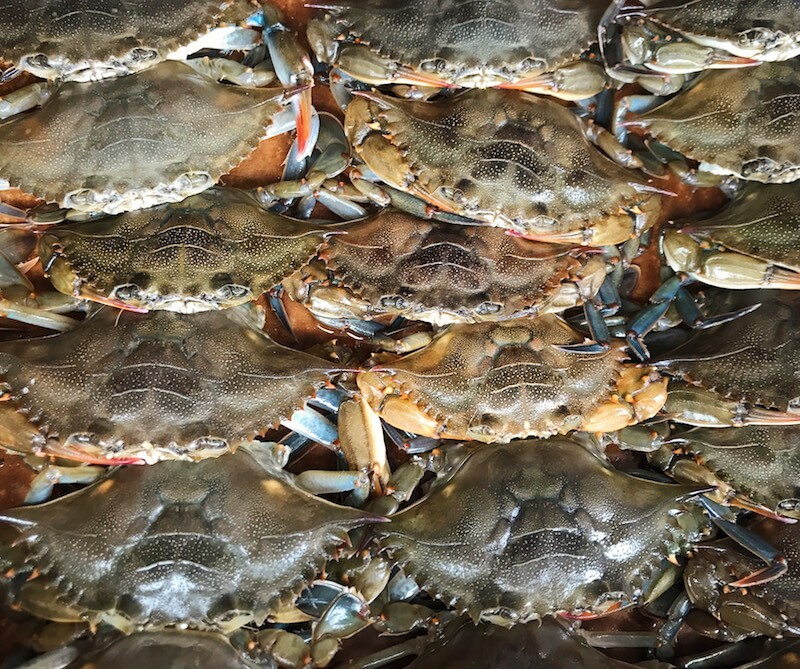 Cleaning the crabs is not for the faint of heart – you might need to face your fears. This article from Bit & Grain will take you through it in simple steps. Or, for the visual learners, here’s a video. 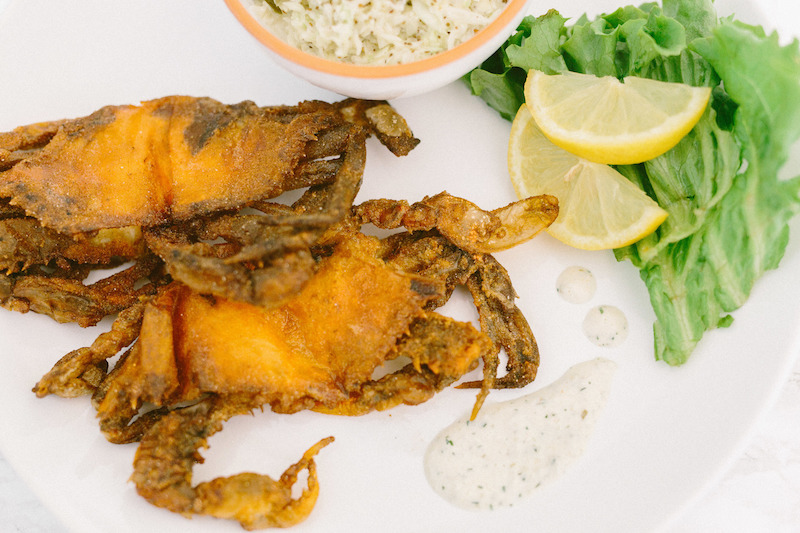 Once cleaned, soft shell crabs can be breaded, battered, or simply coated with oil. You can grill them, pan-fry them, or deep-fry them. 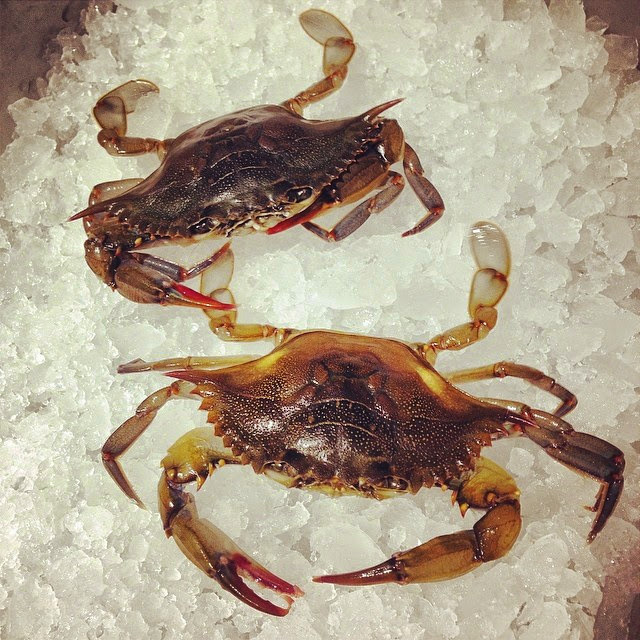 One last word on soft shell crabs: tomalley. Sometimes called the mustard, tomalley refers to the yellow paste near the face of the crab. This paste is edible, and quite tasty, but if it’s not for you go ahead a remove it. We won’t judge. Rich, buttery flavor. Hard shell protects flavorful meat. Sweet briny flavor. Soft white meat.